Mrs. Seng Takakneary has dedicated her life to building up the economic independence of Cambodian women and bringing back the Cambodian silk-making industry. The journey has been long but well worth the effort. Mrs. Seng Takakneary is the owner and Managing Director of SentoSaSilk (www.sentosasilk.com) , a successful Cambodian silk-clothing company; the active Sponsor of the Artisans Association of Cambodia (www.aac.org.kh) , a membership-based organization representing thousands of handicraft producers throughout the country. 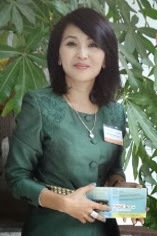 The Former President of Cambodia Women Entrepreneur Association (CWEA) (www.cweacambodia.com), an organization established to help women entrepreneurs start and grow their business in Cambodia. 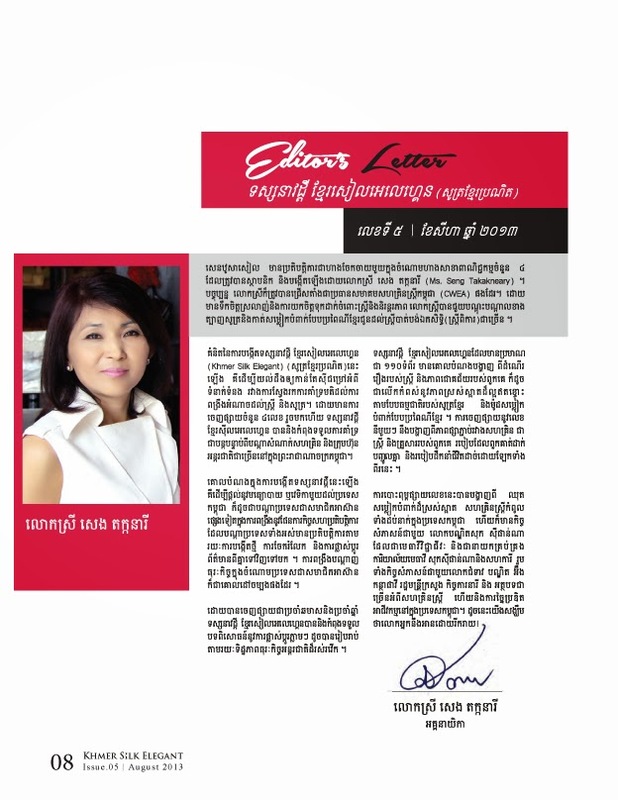 She has commitment to support Cambodian women entrepreneur Association CWEA a leading women 's entrepreneur Association in Cambodia, where she is currently sit as a Founder / Board Advisory. As the founder of SentoSaSilk, Mrs. Seng Takakneary has conquered countless for years bringing innovative business ideas to the Cambodian silk-making industry. Today, she actively evolves in women’s Economic Empowerment (WEE) Through promotion employment for many rural silk weavers in her native province of Takeo, Phnom Srok and other provinces all over Cambodia. she also employs many tailors in her workshop and home-based producers. She has also achieved extraordinary success in marketing products both locally and abroad. In 2005, her innovative silk design in lifestyle and fashion was recognized in Japan and also by the World Bank, which included SentoSaSilk as part of its Craft Network project. 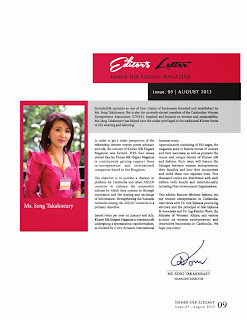 In addition to her work in managing SentoSaSilk, Mrs. Seng Takakneary has committed her life to the promotion of women entrepreneurs in Cambodia, building regional and global partnerships with industrial partners and social entrepreneurs. 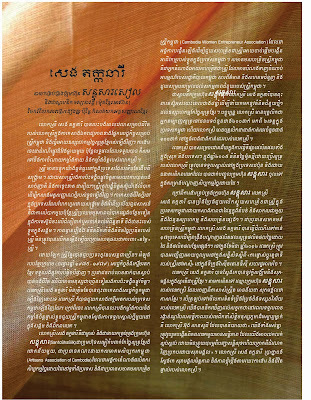 Mrs. Seng Takakneary has travelled to many countries to foster networks for Cambodian silk, handicraft, and lifestyle products, and in March 2012, she was invited to talk at the conference “Women Changing Role in Asia” in Washington D.C., USA. She won a first prize of a trip to attend the Info Dev 5th Global Forum on Innovation, Technology and Entrepreneurship in South Africa in May 2013 by the World Bank. In November 2014 she obtained a Good Design Award from Japan Design Promotion (JDP) Institution. In March 2015, she attained an outstanding Women Entrepreneur Award in ASEAN Economic Community (AEC). 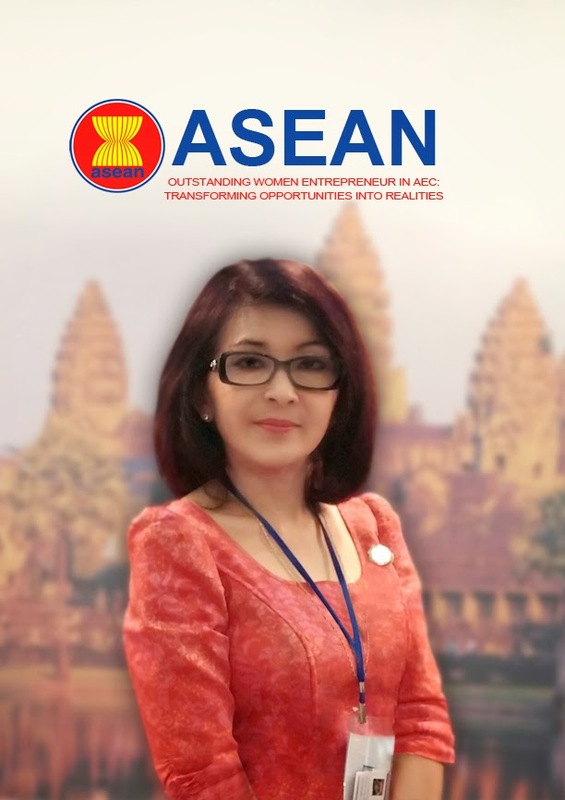 She is also recently selected to be ASEAN GREAT WOMEN Partner by ASEAN Connectivity’s Trade and Investment (ACTI ) in May 2015. Mrs. Seng Takakneary finds hope and happiness in the incredible spirit of Cambodian women. She aspires to find happiness, friendship, and prosperity in her work and in her life.